Redecorating can be the chance that many of us need to start a new chapter of our lives. Cutting our hair or revamping our wardrobe might be too much for many, but choosing a new color for our walls can inject a unique style into our lives behind closed doors. The only problem is picking just one color to paint the walls! One of the best things about pastel colors is they come in almost any color you can imagine. Lavenders, yellows, blues, pinks, and greens can all have a relaxing effect in the bedroom – just what many of us crave when trying to get a good night’s sleep. Thankfully, adding in dark woods or bright accessories around the room can help bring a potentially childish color scheme up to date and to fit our adult lifestyles. 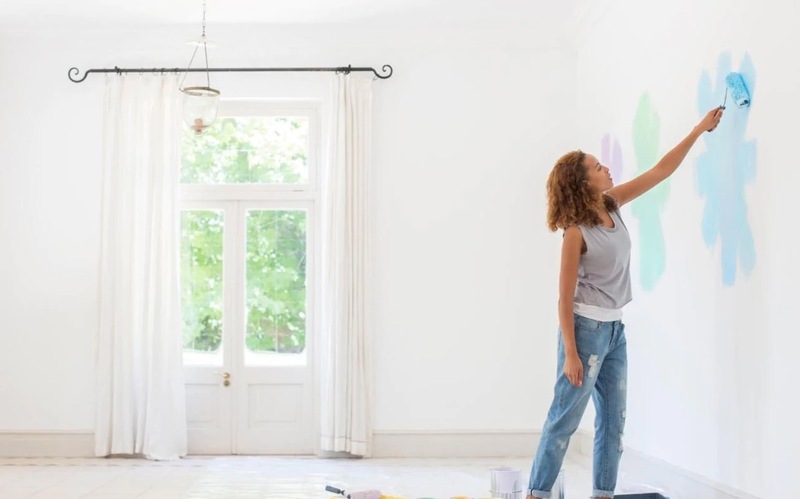 Bright colors might not seem like many people’s first choice when creating a relaxing color scheme, but it could be the way forward for anyone looking to brighten up their lives. They can be energetic and bold, the perfect combination for anyone needing a creative space in the house to let their personality come to life. Plus, you don’t have to go all out. Choosing a feature wall for the bright color and using more neutral tones around the rest of the room could be the perfect compromise. Any neutral color, such as gray, ivory, or beige is sure to be a safe choice for most of us. They are generally inoffensive and can be the perfect way to create a blank canvas for the rest of the room. The colors usually give an earthy feel to the place, but can easily be brightened up with several other pieces around the room. This can also be a perfect color choice for anyone that loves bright bedding or has plenty of nick-nacks to fill the space. If you’re looking for a way to brighten up your space, then why not give metallic colors a try? Now, it seems as though we can buy just about any color paint, and hints of metallic on the wall can inject life into almost any bedroom. They are especially good for someone with a small living space and can be toned up or down depending on your personal style. Dark colors can be perfect for anyone brave enough to give them a try. These work exceptionally well in larger rooms as they don’t suffocate the space. The best bit? You can quickly brighten up the areas with loud patterns or colored accessories or can keep things natural with a few brighter touches here and there. 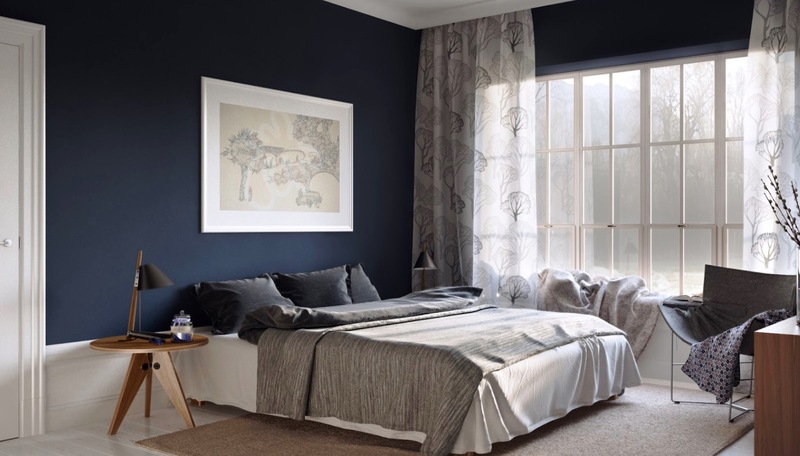 Dark colors could also help people who struggle to get to sleep thanks to the calming surroundings. It could soon be time to break out the brushes and get painting. After all, with so many options for painting our bedroom walls, what is holding us back? There’s only one issue: having to decide which color scheme to opt for. Can’t we just have them all already?